"Historic Spring" appears in the Fall/Winter issue of PoetryBay, an online literary journal edited by George Wallace. Do check out the full issue as it is consistently teeming with interesting poems. I am also grateful to George for inviting me to give a workshop and reading at Walt Whitman's birthplace in May. I will be reading from my collection The Knowledge, which comes out in late April, and which includes this poem. 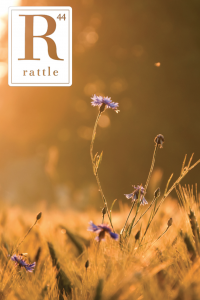 "La Campagna, London, Friday Night" appeared in Rattle #44 this summer and is now available on the Rattle website with an accompanying audio recording. As it happens, I also recently created a Wordpress plugin to support the Rattle website by making their "random poem" capability more durable in its popularity. Personally, I could spend the better part of the day clicking that random button and reading their excellent poems. Categories: PHP, Poetry, Publications, and Technology. Tags: PoetryBay and Rattle. Poets: George Wallace and Tim Green.